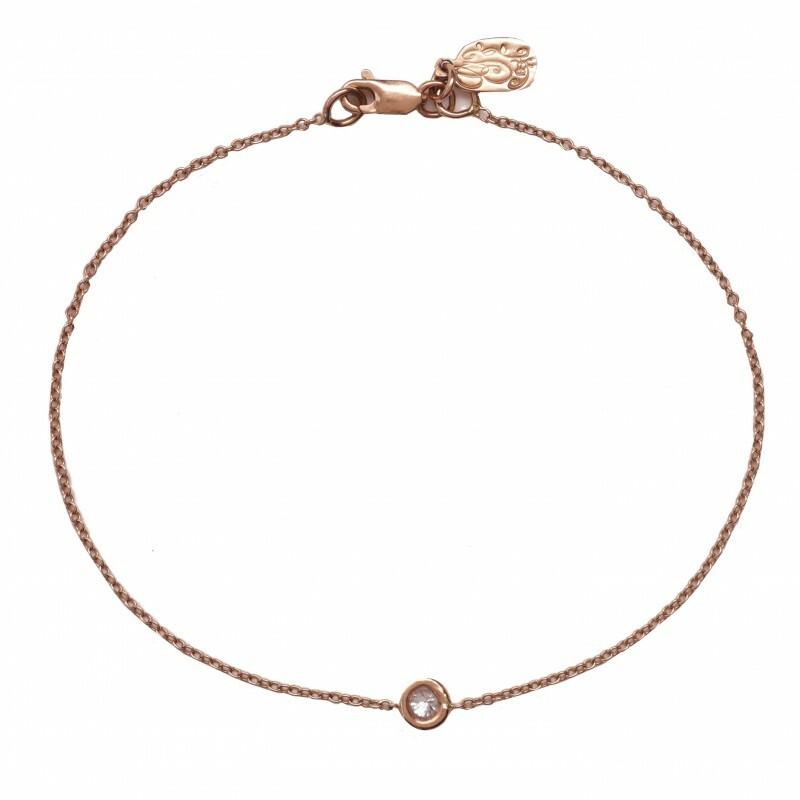 Each bracelet is set with a single bezel set diamond, which rests on a delicate chain, giving the appearance that the dainty sparkler is floating at the center of the wearer’s wrist. 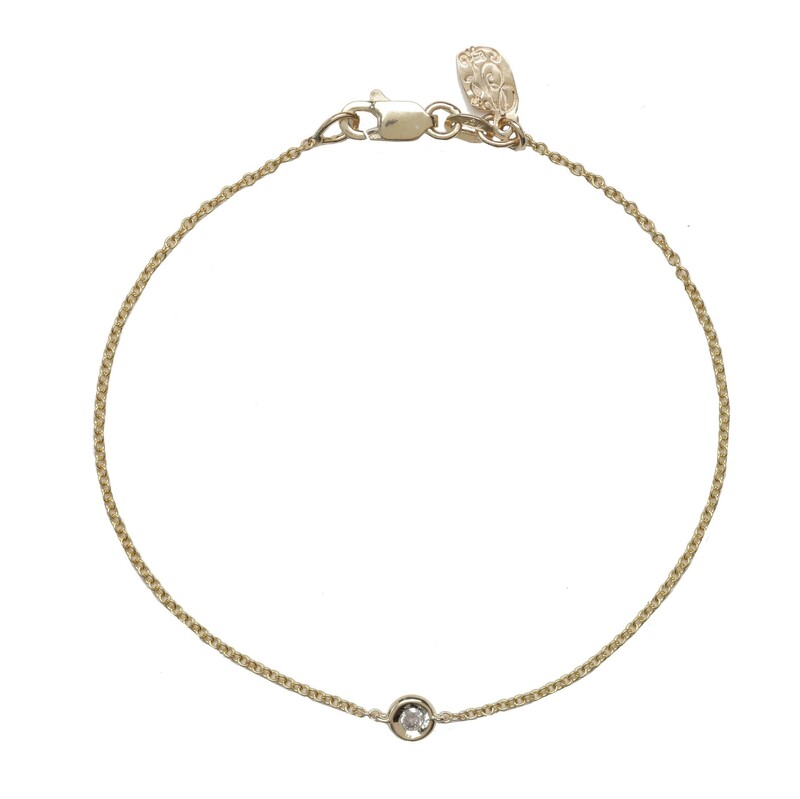 In order to keep the bracelet comfortably snug and limit turning on most wrists, the length of each bracelet is 6 ½ inches with a second loop to adjust at 6”. For smaller wrists, the bracelets may easily be shortened by any professional jeweler. Available in yellow, rose, and white gold.